Do you know how people celebrate Christmas around the world? There are so many different places and cultures that celebrate Christmas but all in their own ways. Try our quiz and discover new facts about how people celebrate this holiday all over the world. 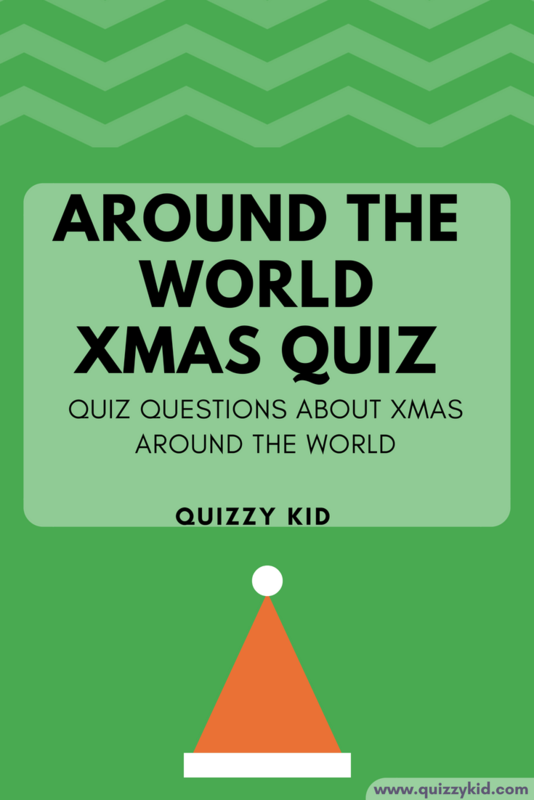 If you like this quiz then you'll love our Christmas Trivia quiz. And for more festive giggles check out our elf jokes and santa jokes. Fun for all the family! Q1. In Japan what is it customary to eat on Christmas day? Fried chicken. KFC is very popular at Christmas in Japan! Q2. In Armenia the traditional Christmas meal is fried fish, lettuce and which other green vegetable? Q3. In Finland Santa doesn't ride a sleigh. What animal does he ride? Q4. In North America, children put out stockings. What do children in Holland put out for Santa? Q5. What is Santa called in Hawaii? Q7. What is the day after Christmas day called in the UK? Q8. In Russia when do they celebrate Christmas day? Q9. In what asian country is it common to give money at Christmas? Q10. In Switzerland at Christmas parties you might eat fondue (a pot of melted cheese) and then kiss the person on your left. True or False?